Gemelos de temática científica, regalo único para el físico, matemático o docente elegante. 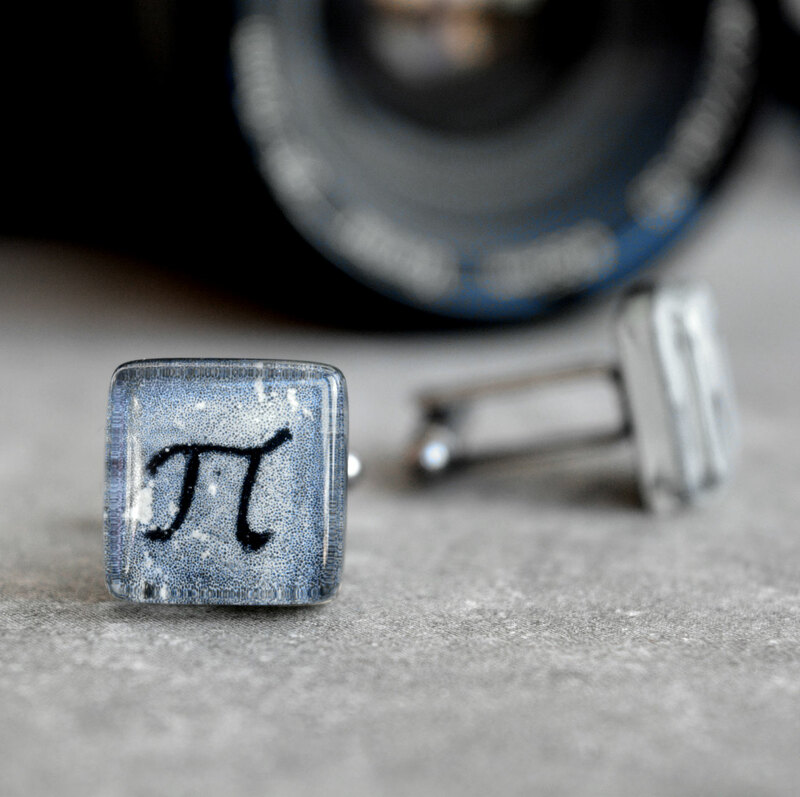 Science cufflinks, a unique gift for the elegant geek, physicist, mathematician or teacher. 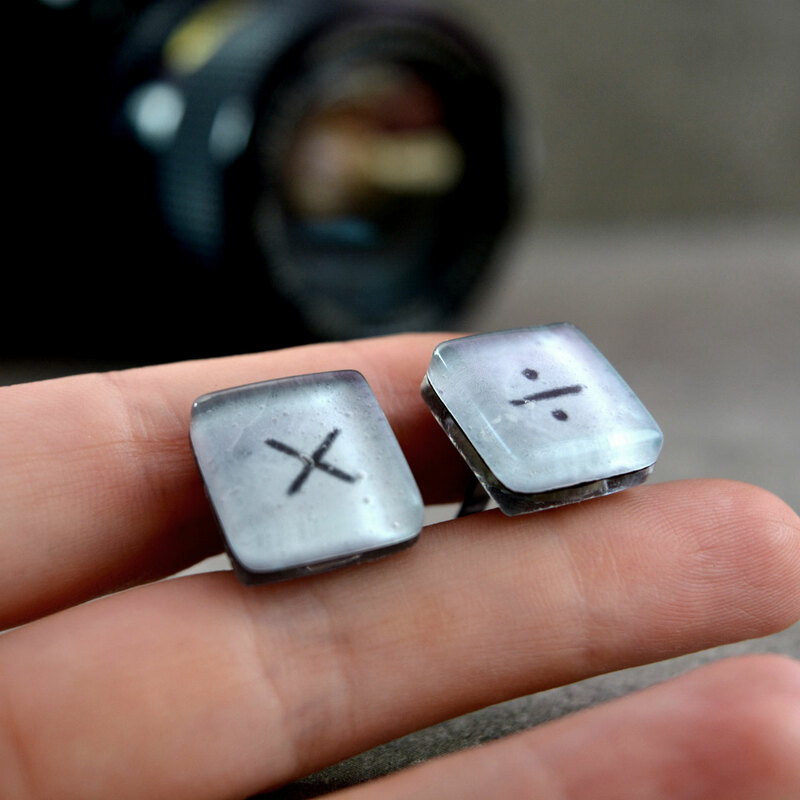 The square glass piece measures 15 mm x 15 mm and is about 6 mm thick. 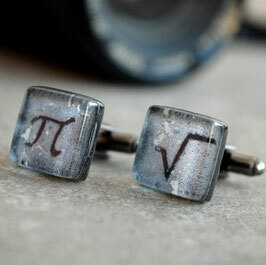 The mechanism of the cufflink is flexible for a comfortable and easy usage.